Outrun the tigers, match jewels and throw knives in this exciting UK slot game at Wicked Jackpots! There are loads of chances to win and loads of fun to be had. All you have to do is spin to win! Want to go to Africa? 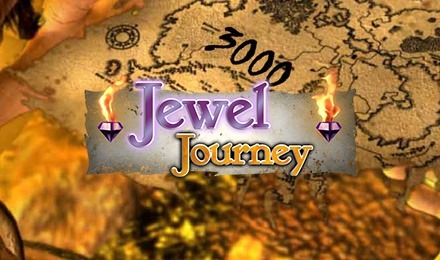 Play Jewel Journey Slots and you can visit without packing a bag or hopping on a plane. Venture through the jungle for FREE spins, gamble features, bonuses and more! 3 Tigers will trigger the Great Escape bonus and you can win up to 100x your original wager. The Professor will activate your FREE spins, where you can multiply your wins up to 12x. There's also a Match and Win bonus, which begins when 3 or more Purple Gems appear. The final round is triggered when you spin 3 or more Treasure Maps, and it's a rewarding Gem Select feature.